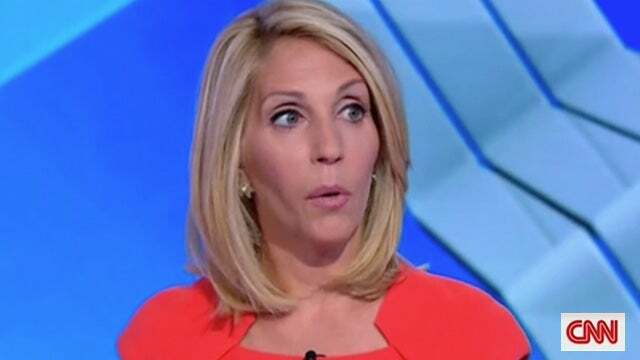 So the thrust of the question is, “Hey, a Republican senator says bad move to sit down with dictators, but if the dictator’s got nukes that can hit you, well, then maybe it’s okay.” Here is the reaction from Dana Bash. BASH: There would be a call for impeachment, and it would be the worst thing in the world if a Democratic president not just sat down, but gave all of the pomp and circumstance, the sort of diplomatic bells and whistles that President Trump gave to Kim, not just rhetorically, but the flag placed on equal footing to the American flag, things like that. I mean, conservative talk radio, conservatives in general would be going ballistic on a Democratic president. RUSH: Well, does she have a point here? Let’s think about this for a minute. 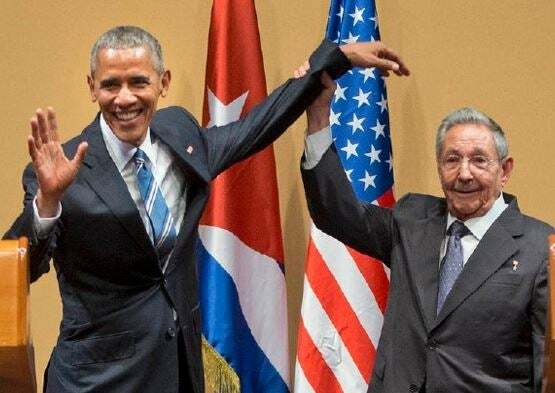 Now, I remember Barack Hussein Obama — I’ve got the picture — Barack Hussein Obama sitting down there with Raul Castro of the dictatorship known as Cuba, and they’re joined hands and they’re raising, you know, arm in arm. Very pomp, very unified, looked like buddies, looked like friends, and in that deal, guess what? Obama wasn’t demanding any changes from Cuba. No, Obama was gonna see to it that Cuba ended up with more American dollars by relaxing travel restrictions, and Obama was going to allow the legal purchase of Cuban cigars, for example, a commodity, and bring them back into the country with no limits. Barack Obama bowed down to the dictator king of Saudi Arabia. The name would be King Abdullah. Obama met with many foreign leaders that we would consider dictators. There was pomp and circumstance. And in every instance Obama did not demand change from any of these dictators to represent American values. What Obama did was essentially acknowledge to these foreign dictators that America had her problems, too, and that we weren’t going to be preaching so much about it anymore. So, yeah, we were upset with Obama because he was not standing up for America; he was making excuses for America. Now, what’s Trump doing. Trump is not enabling a dictator to get nuclear weapons. Trump is attempting to see to it this guy gets rid of his. This guy is attempting to remove an enemy of free people from the world. I don’t think, Ms. Bash, your analogy quite works because of the substance involved.